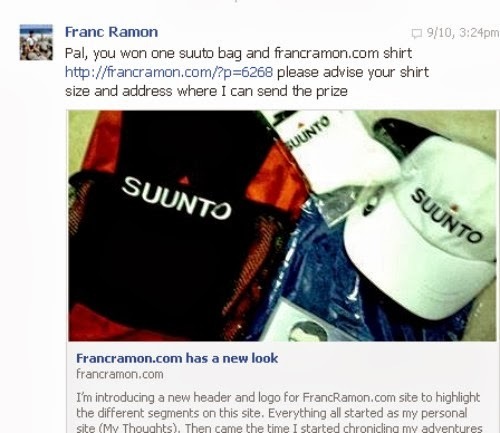 When I started blogging I always wondered why some bloggers seem to bring home a prize from a giveaway. I said to myself, how they do that when I always join giveaways but win nearly nothing and others are so lucky winning solely to luck. Are they using some tactics to improve their odds? Trying my luck. I've joined the said giveaway by following all the given instructions. 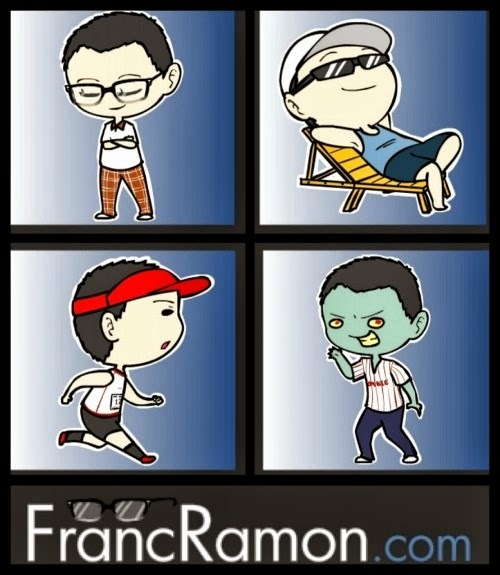 Most important thing is to answer this question: "TELL US WHICH IS YOUR FAVORITE SEGMENT AT FRANCRAMON.COM AND WHY?" 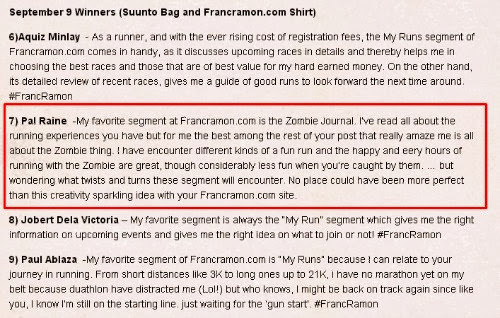 Week after I've joined I received a message from Franc. YES, This is great! A giveaway that will award 15 best answers is going to be a hundred times more exciting. And I am one of the best answers being chosen. 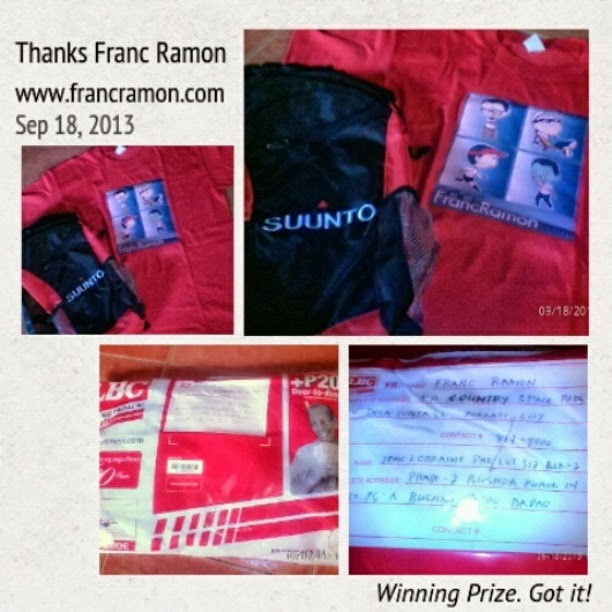 Received my winning prize yesterday afternoon, September 18. Yeah you're right. Even simple detail instructions must be followed in order to win. Wow looks like a great giveaway! Congrats and thanks so much for sharing! YW sis...nice to share your happiness with others. Congratulations. I've joined several giveaways myself, and yes to no avail too. Quite frustrating sometimes especially if you really like the prize. BTW, my http://www.mitchryan23.com/zinio-free-magazine-subscription-giveaway-2/ is still open. You might also win this as I am giving not just 1 but 9 digital magazine subscriptions. Congratulations on the win! I haven't actually joined any giveaways yet. I don't know I'm just not the type who joins these kinds of events. Speaking of contests, do you want to be featured on an eBook? I hope so! If you would like you and your blog to included in The Blogger Book: Top 20 Filipino Bloggers, head on over at http://thebloggerbox.net/bigbook and join! Checking the link you've posted. Thanks. Wow congrats. Winning is a great experience. I tried joining another contest ones and I received some chocolates . That's good. I love chocolates. Thanks.